You'll visit kid-friendly attractions like Tykkimaki Amusement Park and Riverside Park. You'll find plenty of places to visit near Lappeenranta: Kotka (Sapokka Water Garden, Sibelius Park, & more), Hamina (Hamina Old Town, St. John's Church, & more) and Imatra (De tre korsens kyrka & Lammassaari Island). 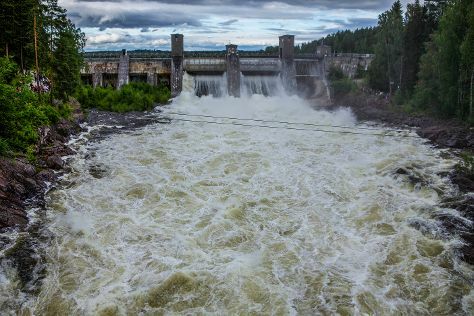 There's much more to do: admire the sheer force of Imatra Waterfall, see the interesting displays at Lappeenranta Fortress, explore the activities along Saimaa Canal, and contemplate in the serene atmosphere at Kerimaki Church. To see where to stay, maps, reviews, and tourist information, you can read our Lappeenranta online travel route planner . In April, daily temperatures in Lappeenranta can reach 8°C, while at night they dip to -1°C. Wrap up your sightseeing on the 27th (Sat) early enough to travel back home.